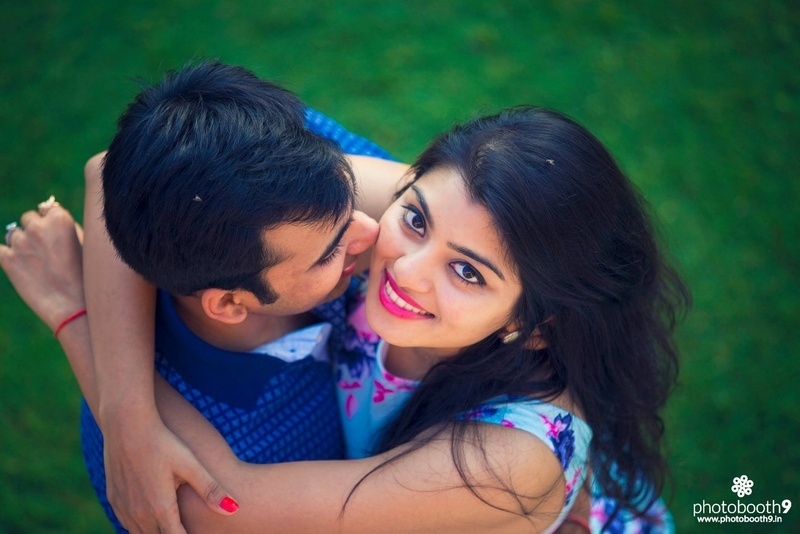 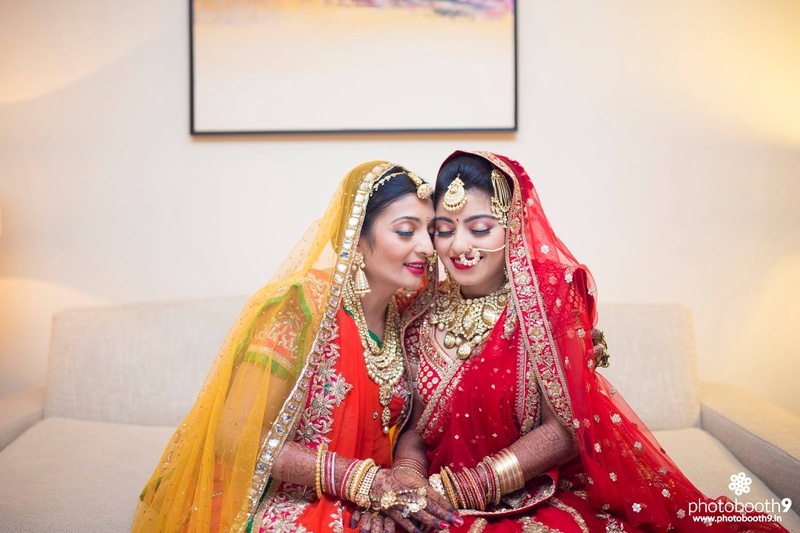 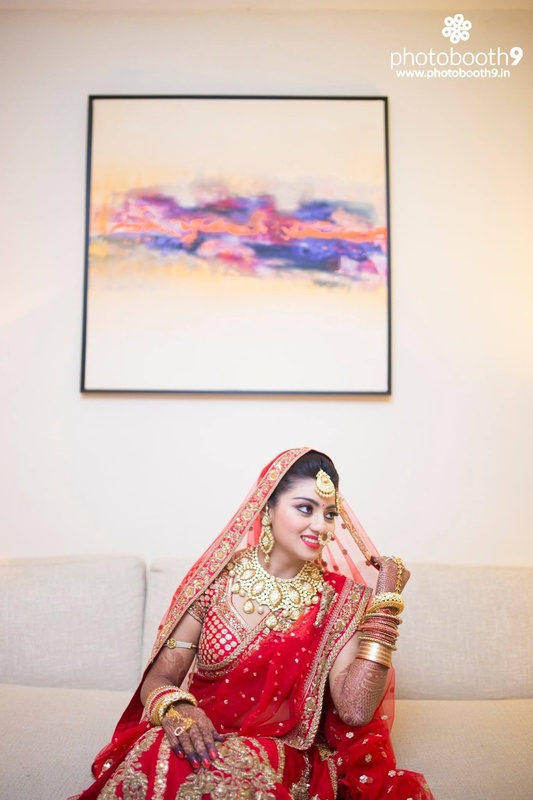 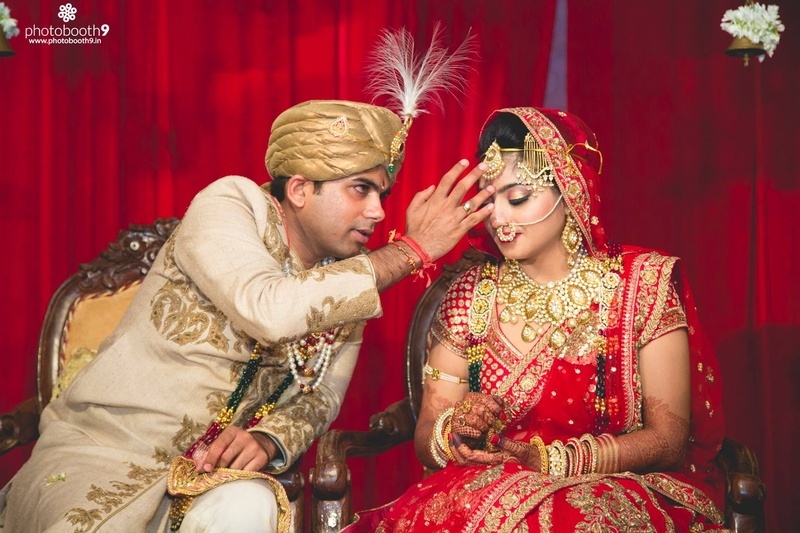 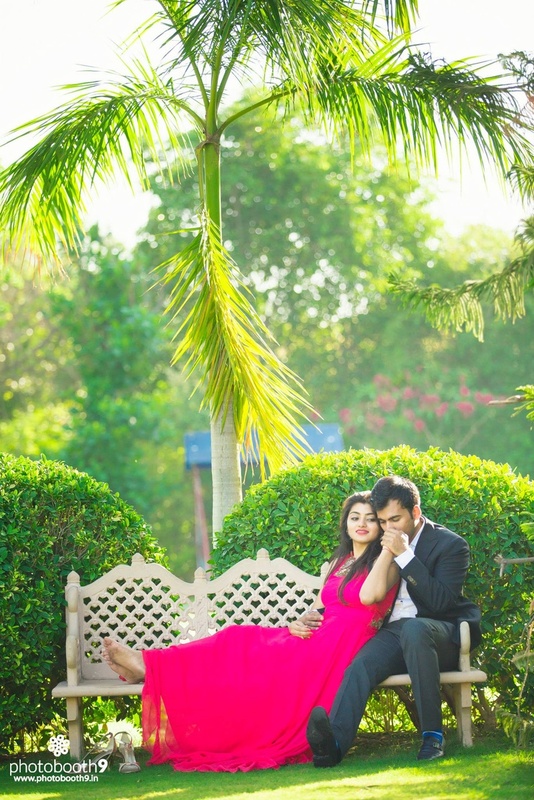 Sanskriti and Sajal’s super pretty Goa wedding with all its color and million bouts of happiness is sure to bring a smile to your face. 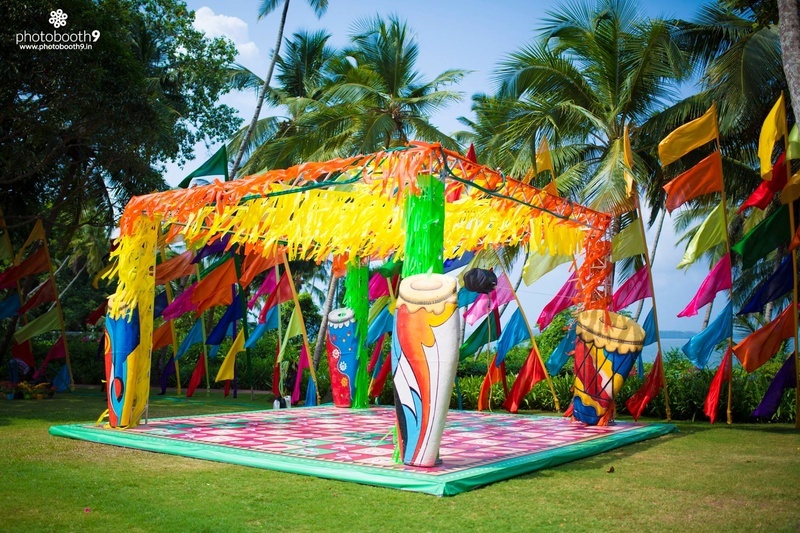 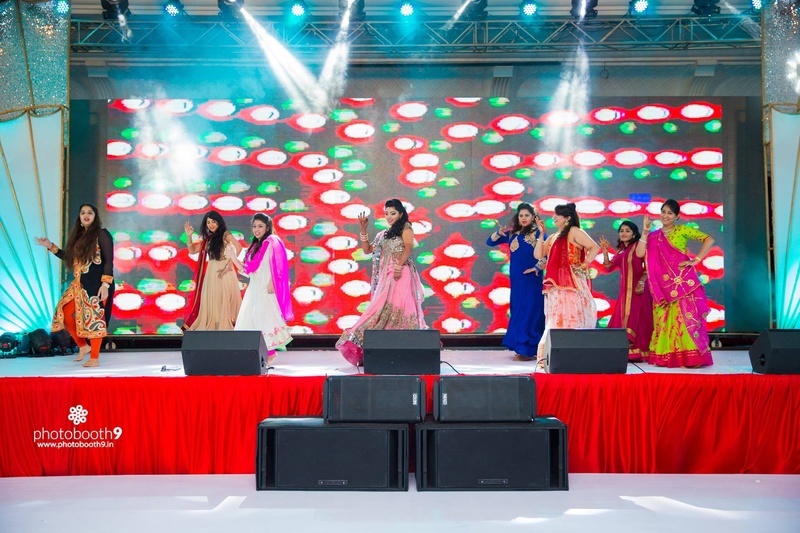 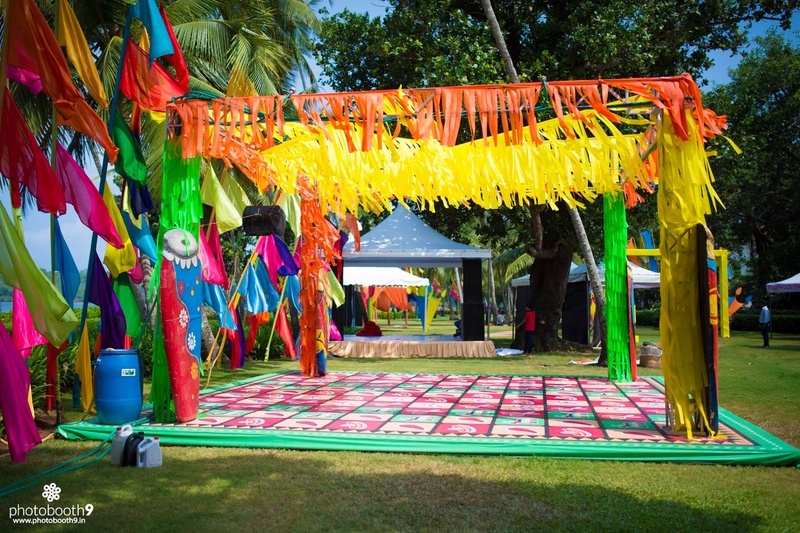 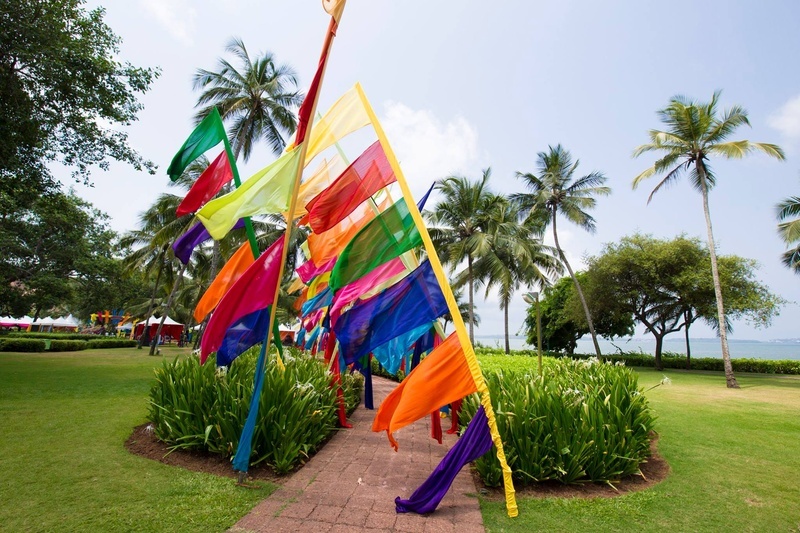 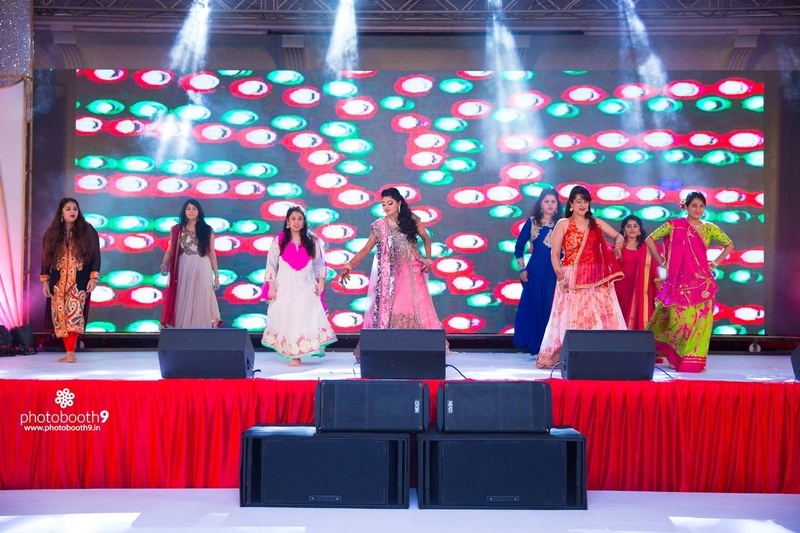 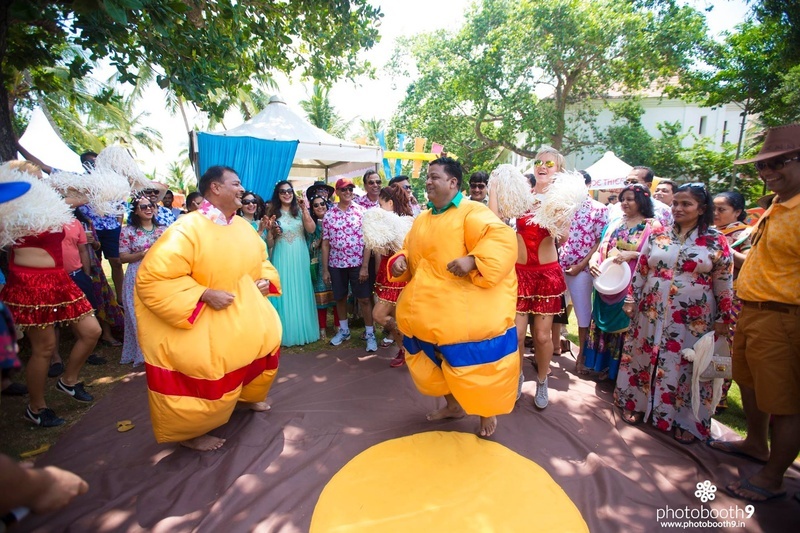 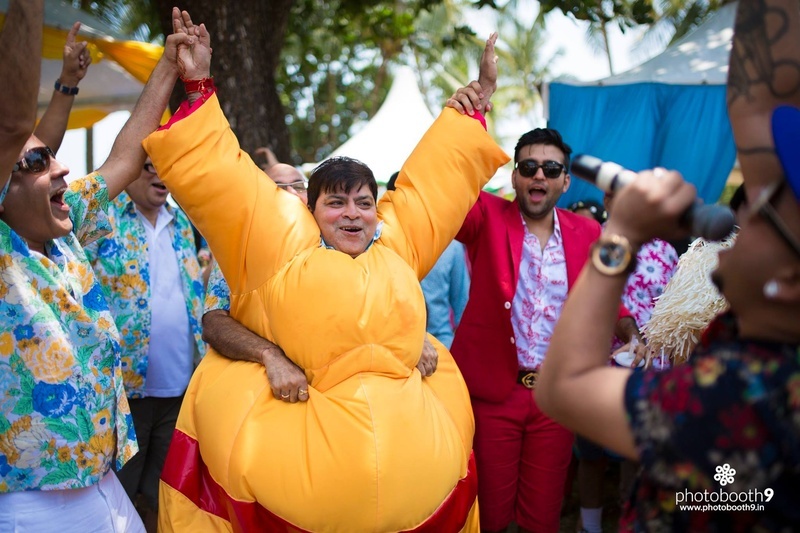 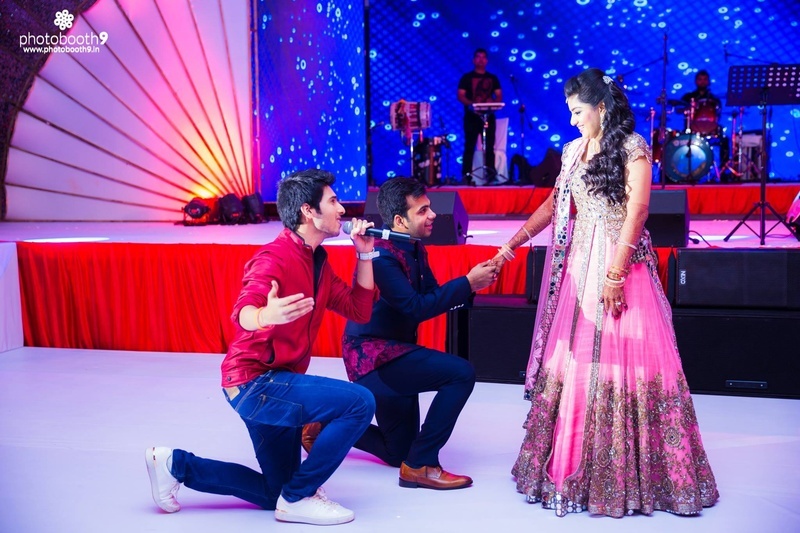 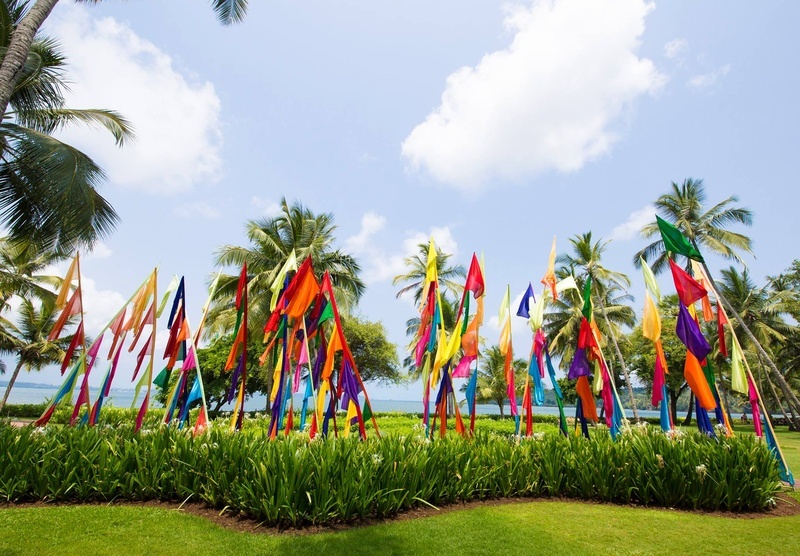 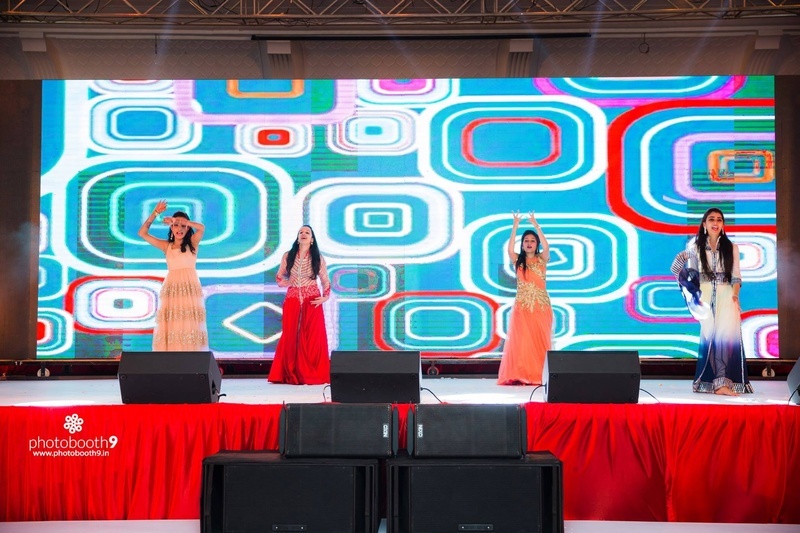 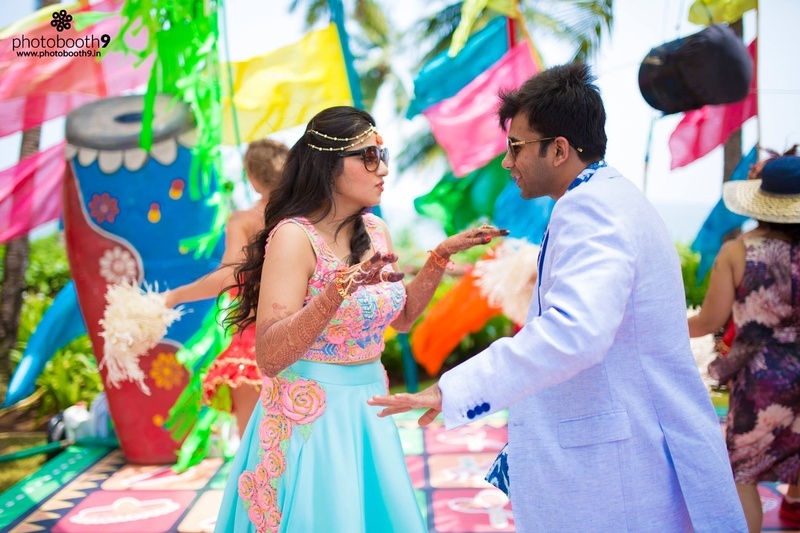 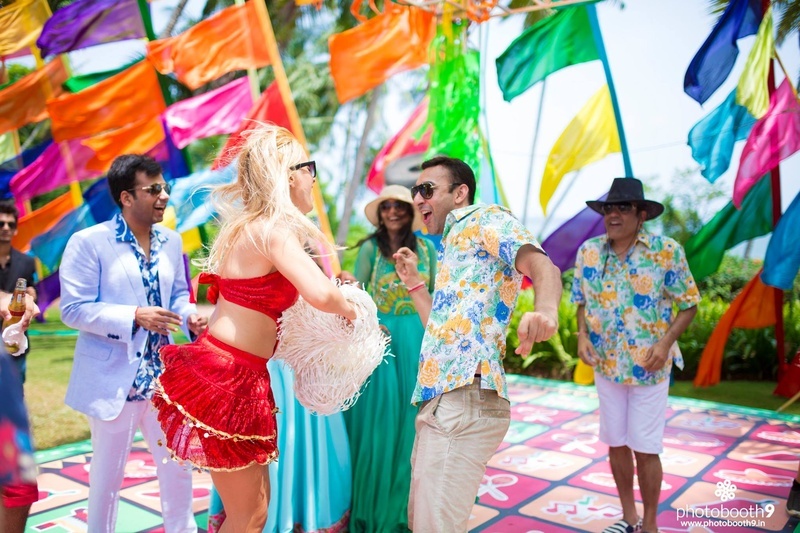 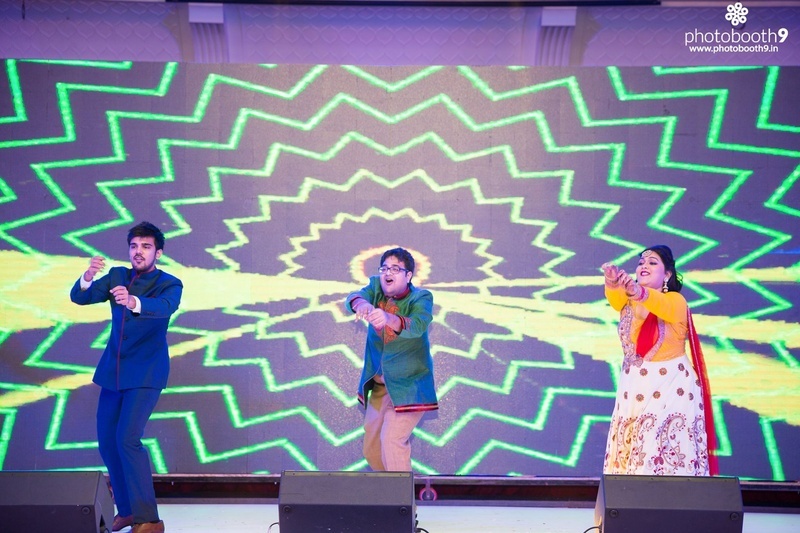 This three day long naach-gaana packed wedding was held at the Grand Hyatt, Goa, which started with an uber colorful beach-front party with the BEST activities that engaged their guests in the most fun way. 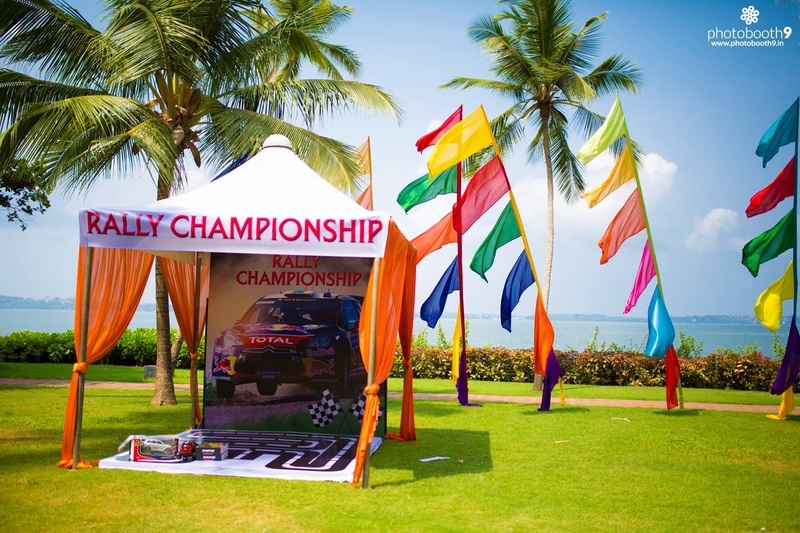 They hosted a “Rally Championship” with mini remote control cars and sumo-wrestling competition complete with the bodysuits – It was a happiness riot that afternoon! 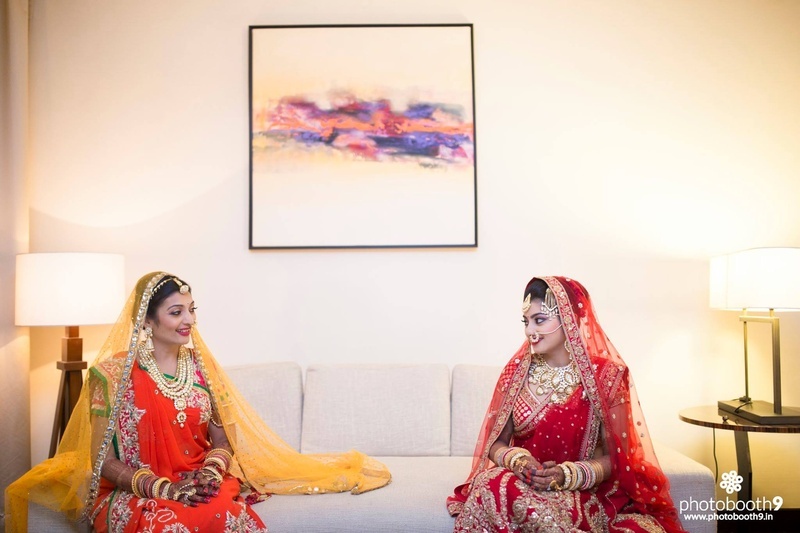 The bride-to-be was in a gorgeous aqua blue lehenga with a fully embroidered pink blouse, while Sajal went all summer-casual in white trousers, a blue printed shirt and matching blazer. 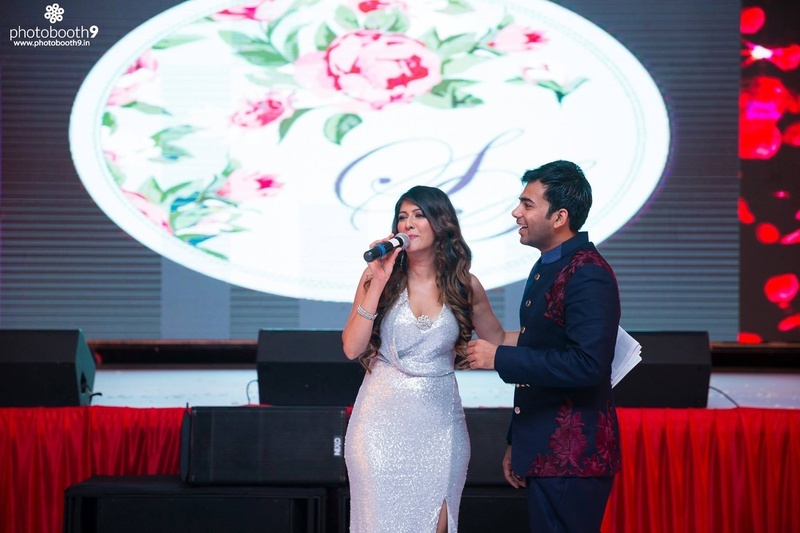 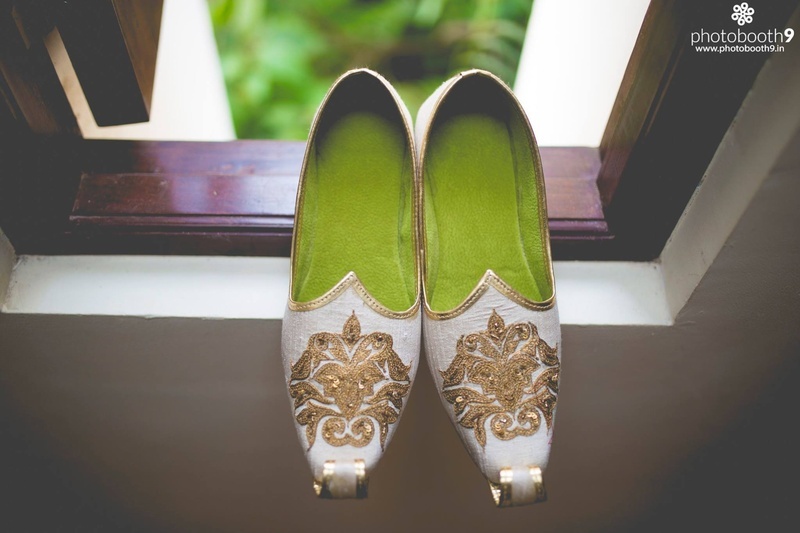 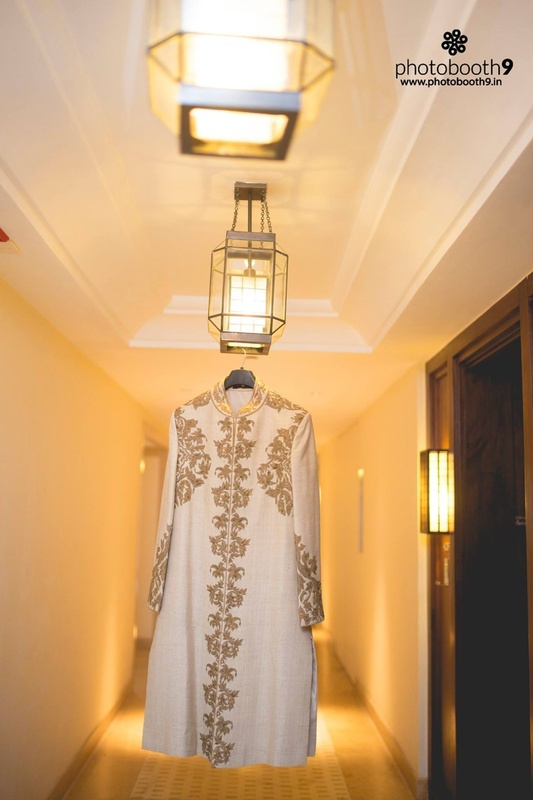 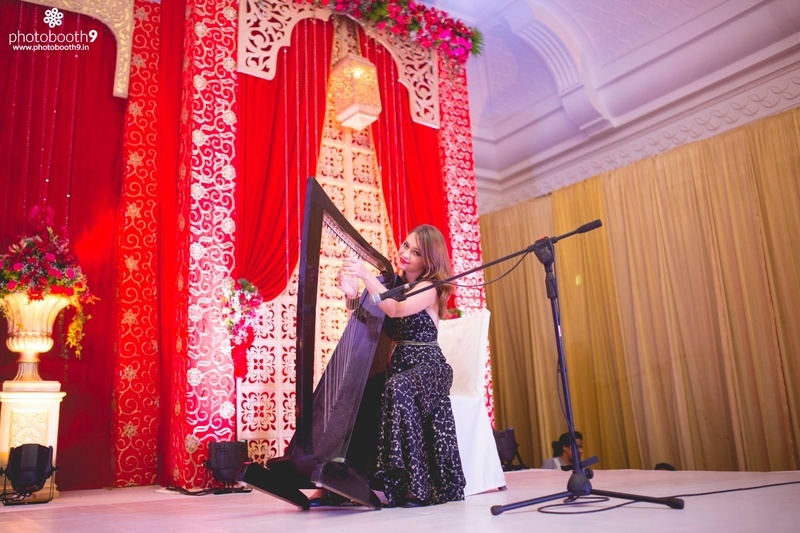 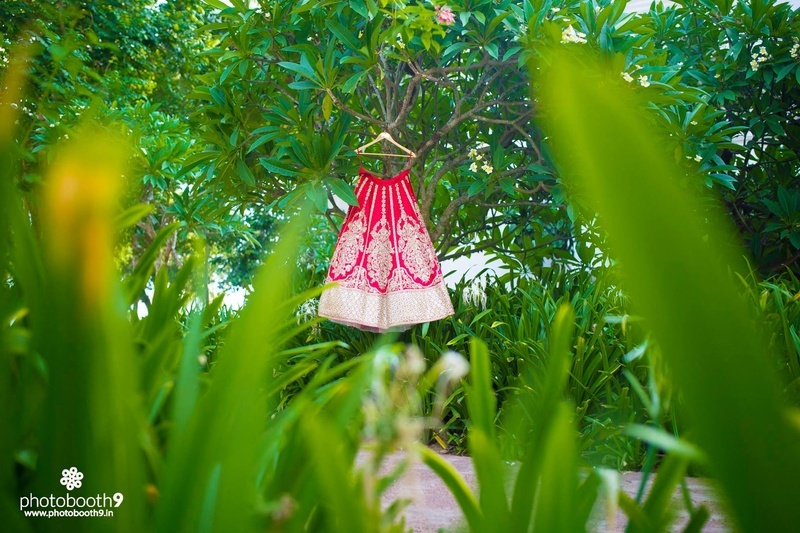 The next day brought with it the sangeet ceremony, full of heart-pumping music, pro-level performances and some gorgeous outfits that are sure to inspire. 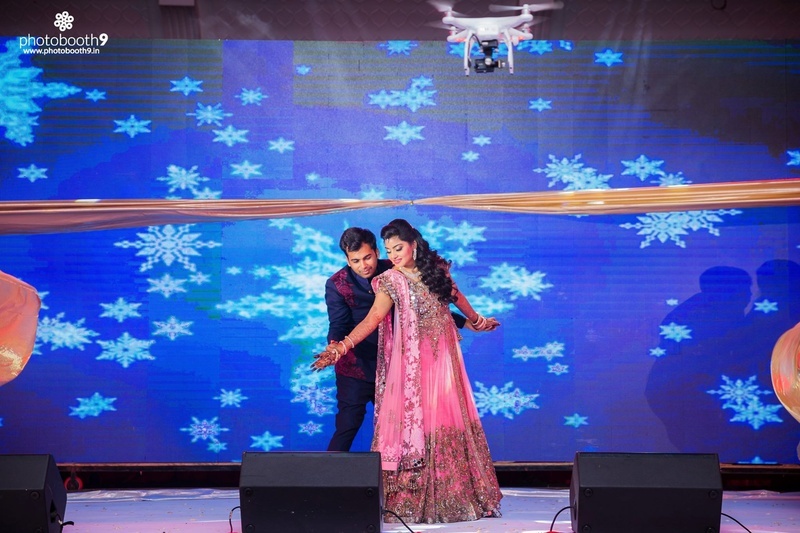 While we were sure that Sanskriti is sure to stun in her pink mirror work lehenga, but the pretty-pretty outfits worn by the auntyji’s for their dance number surely left us aww-ing! 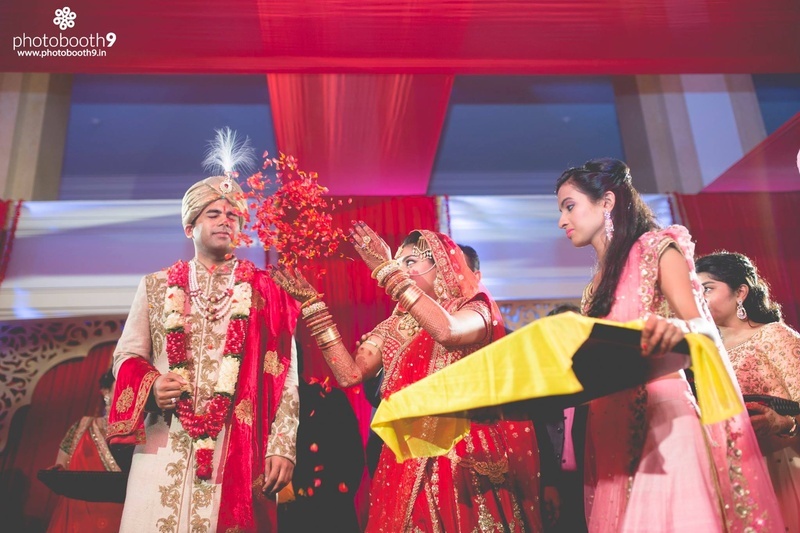 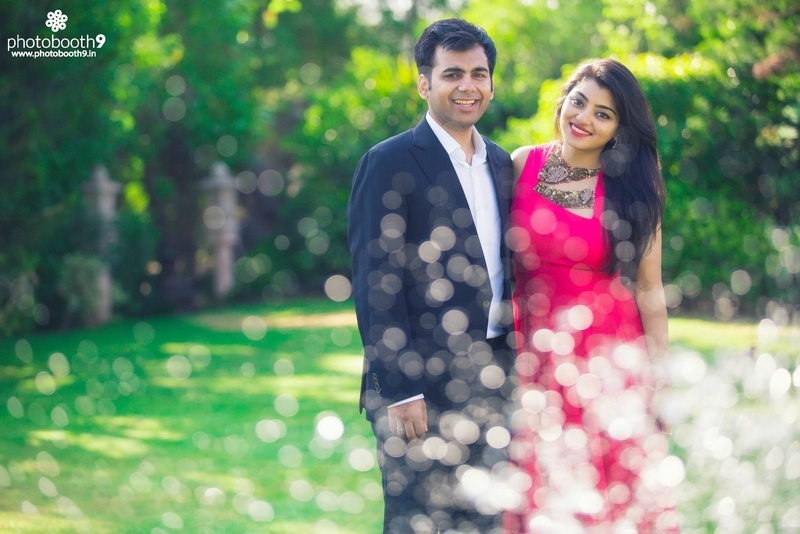 Shot by Photobooth9, who captured this wedding with sheer brilliance. 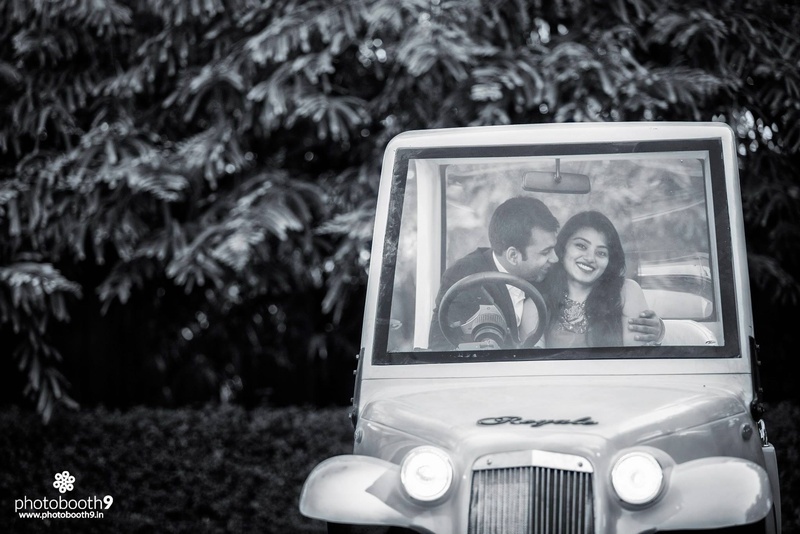 Perfectly getting those sweet candid moments, the tiny details and the unmatched fun of it all! 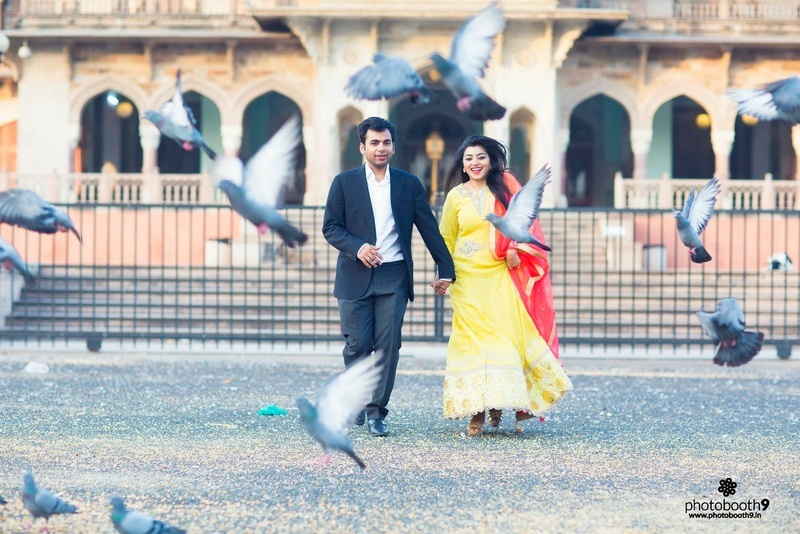 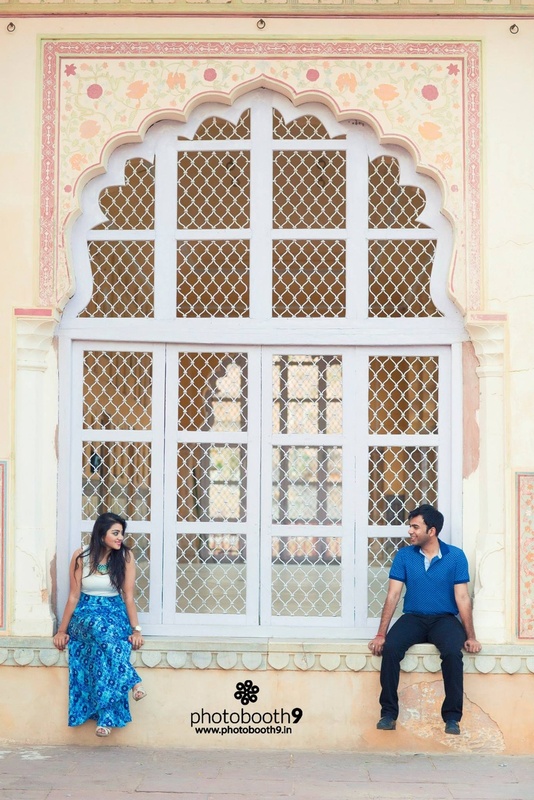 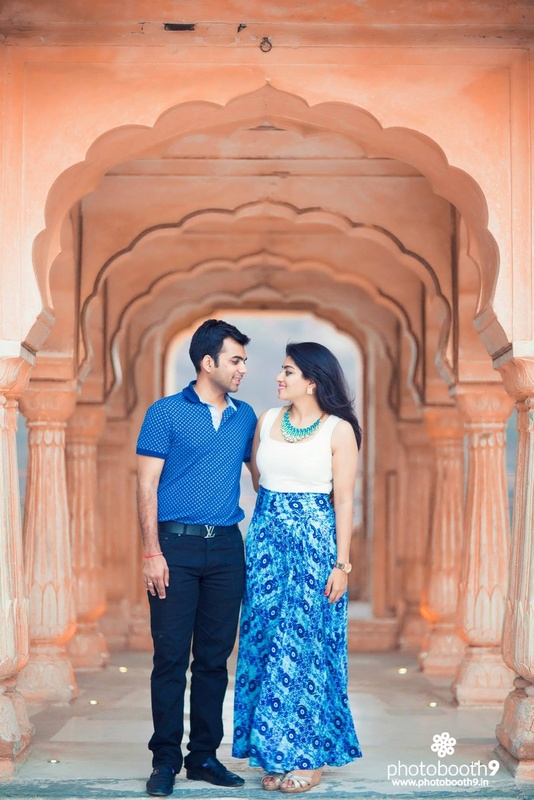 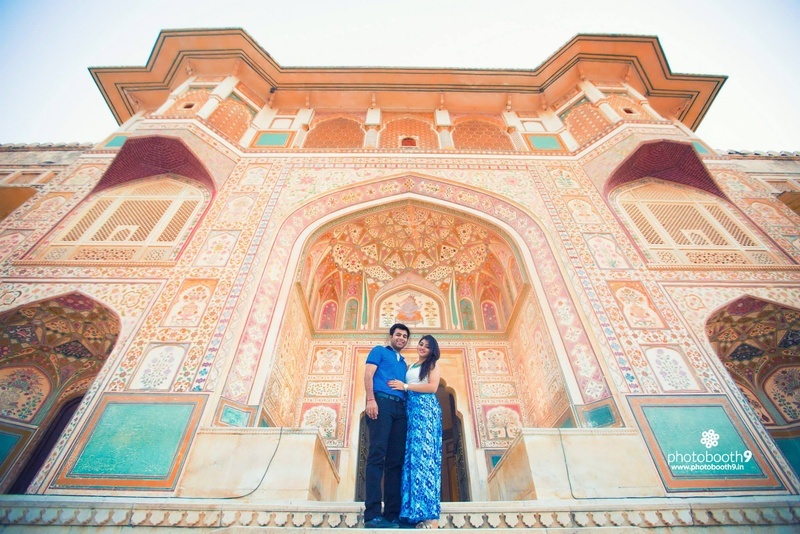 P.S - Special shout out to their destination pre-wedding shoot, held in the historic city of Jaipur – definitely trendsetting, we think! 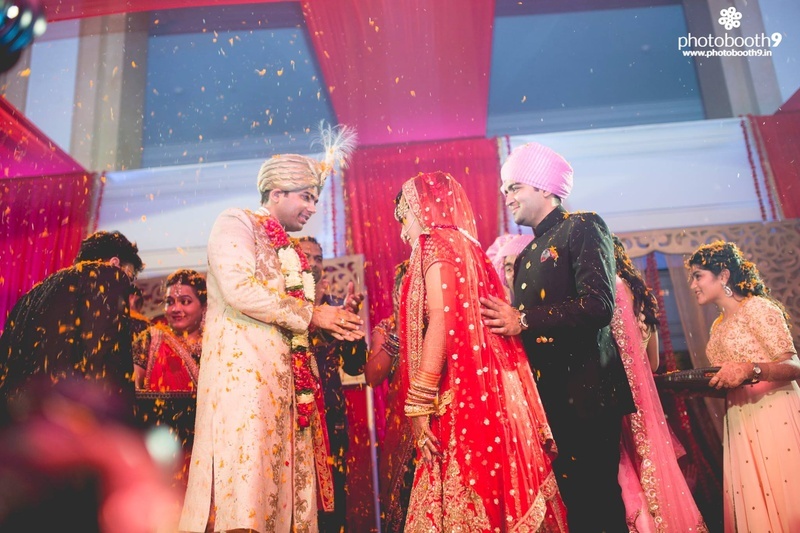 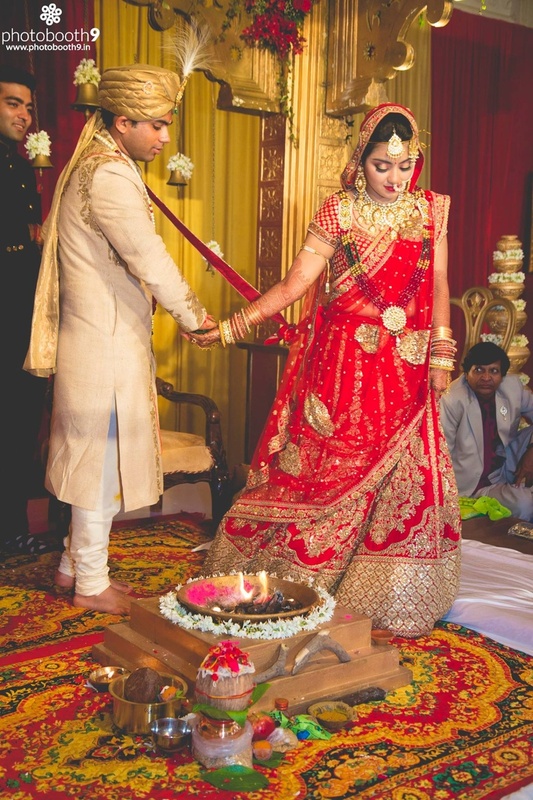 What to look out for as you scroll through this wedding – the intricately patterned jooti’s of the groom, the stunning red and gold lehenga and the LED screen backdrop! 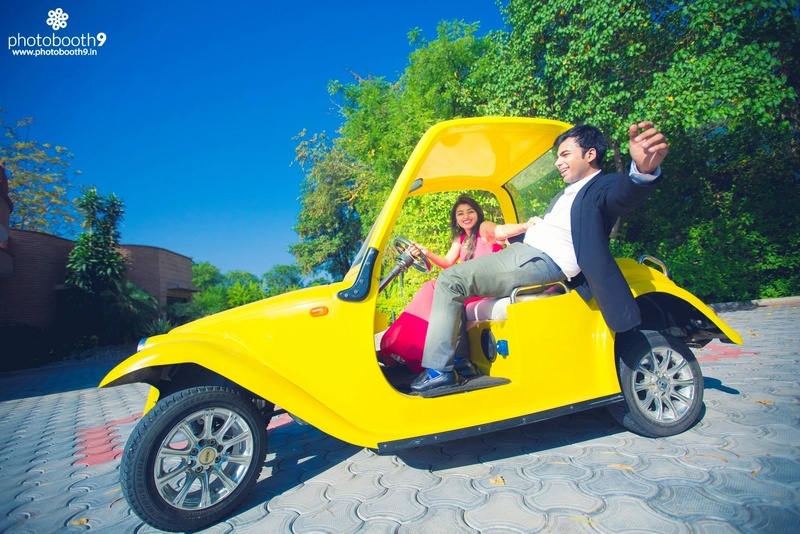 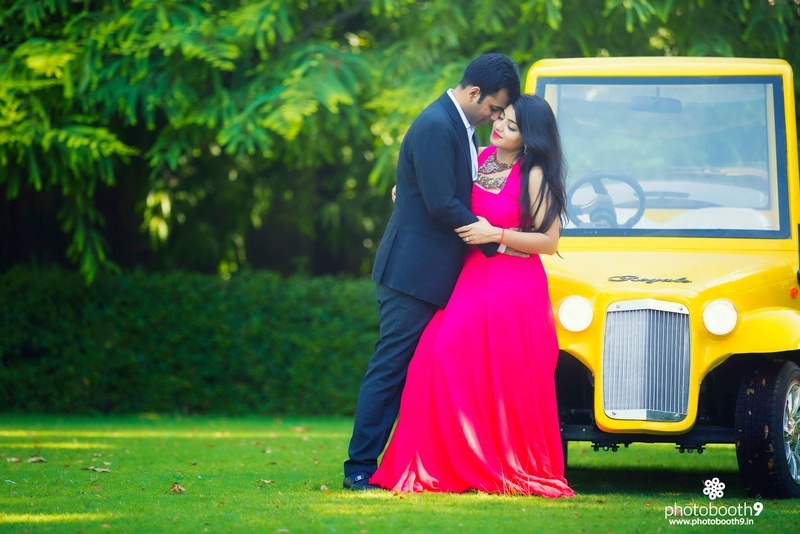 Interesting locations of pre-wedding photo shoot like this one- a golf car! 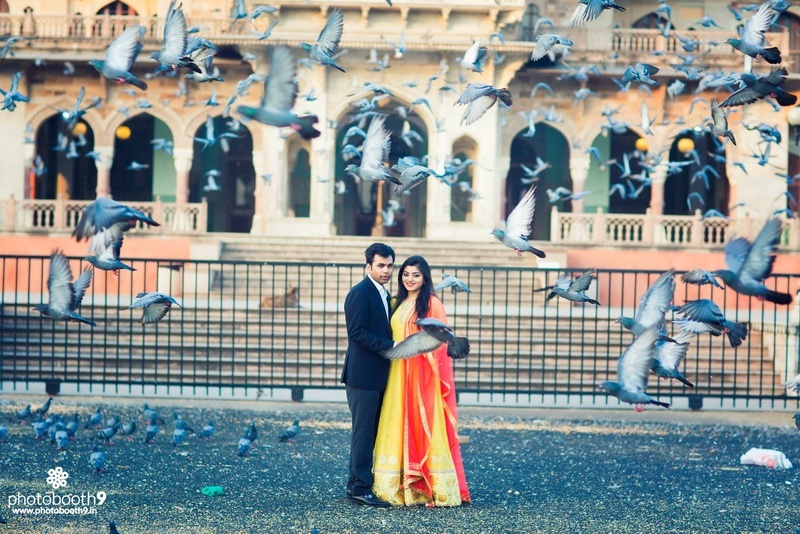 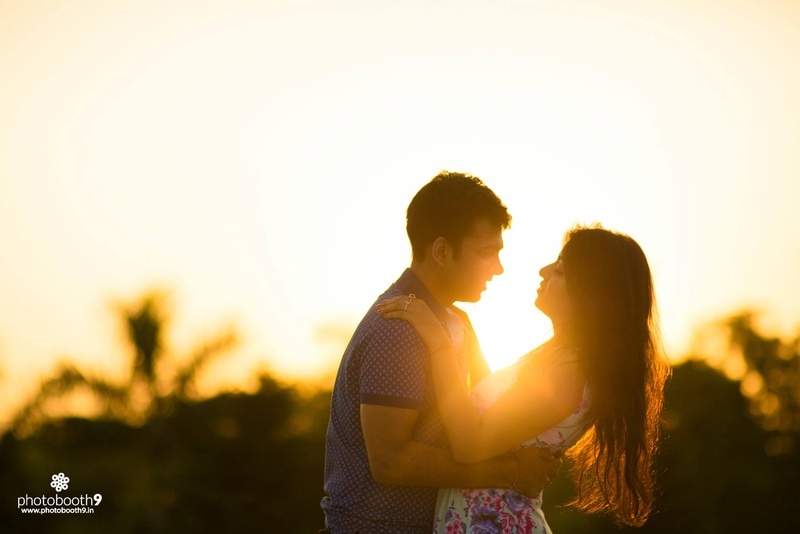 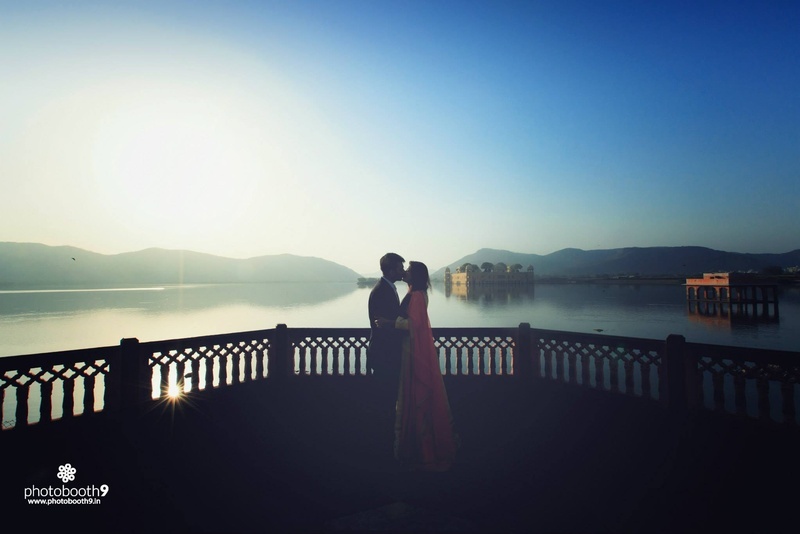 Romantic sunset pre wedding photo shoot at Jaipur city amidst the lake!